Here at Desert West Tree & Landscape, Experience and Dependability are what we believe in, and we back that claim with 25 years of honest, hardworking service to Tucson. 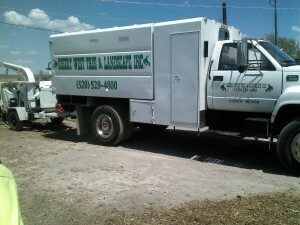 The thing that sets Desert West apart from the other tree services in Tucson is our crew. Every member of the team is dedicated to his craft, and strives to meet and exceed the highest of professional standards. You can rest assured that your trees and property are in the hands of well trained and qualified tree care and landscaping professionals. Desert West Tree & Landscaping is a family owned and operated business. Over the past 25 years, we have been expanding our business to meet the needs of Tucson residents. Through this expansion, we have maintained family ownership in order to ensure the highest quality of service for our customers. Your satisfaction is very important to me. That is why I personally guarantee that you will be satisfied with the work we do. It is my goal to have you return to us year after year for all your tree and landscaping needs. I ensure that each member of the crew is dedicated and motivated to perform to their absolute best. As such, I promise you a more than exceptional job. Copyright © Desert West Tree and Landscaping. All Rights Reserved.